Decorating your child’s room with a fun theme of their choosing allows them to express their individuality, explore their unique personal interests, and feel comfortable and happy in a space that’s fully their own. By using easily changeable decor like posters, wall decals, bedding, and accessory pieces (like lamps and curtains) to create the look, you can easily adjust the theme to suit your child’s changing interests as they grow up. Whether your child is fascinated by the deep blue sea or dreams of exploring outer space, one of these 4 themed kids room ideas is sure to be a hit. These kids room decorating ideas are designed for both kids and parents in mind. Kids will love their fun new room designed around their unique interests. And parents will appreciate these creative, yet easy to achieve these. There are so many possibilities! Nothing activates a child’s imagination like the vast reaches of outer space. 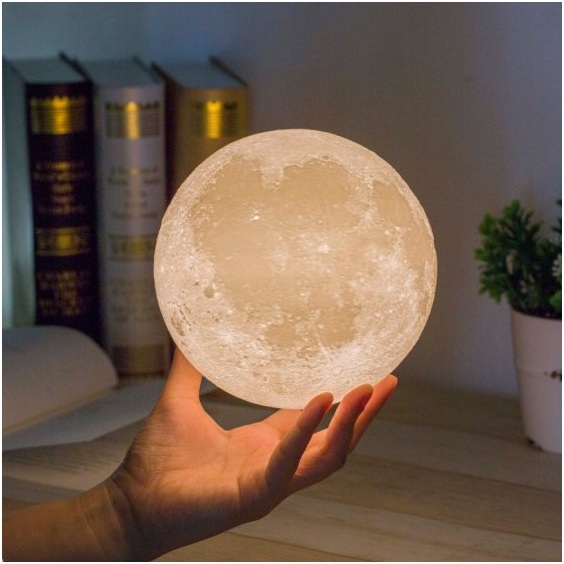 Electric blue or silvery gray walls set the foundation and can be dressed up with galaxy tapestries, planet wall decals, or blown-up prints of the moon. Keep the bedding simple, or choose a fun quilt or comforter decorated with stars or rocket ships. Complete the look with star-speckled curtains, a planet ceiling mobile, and a glowing moonlight lamp. Depending on your child’s age and interests, you can customize the space theme to skew towards astronauts, the lunar landing, or even a favorite film like Star Wars. This whimsical woodland theme is perfect for any child that can’t get enough of nature, storybooks, and furry animal friends. To pull off this themed room, keep the wall color neutral and rely on the decor to bring the fantasy to life. 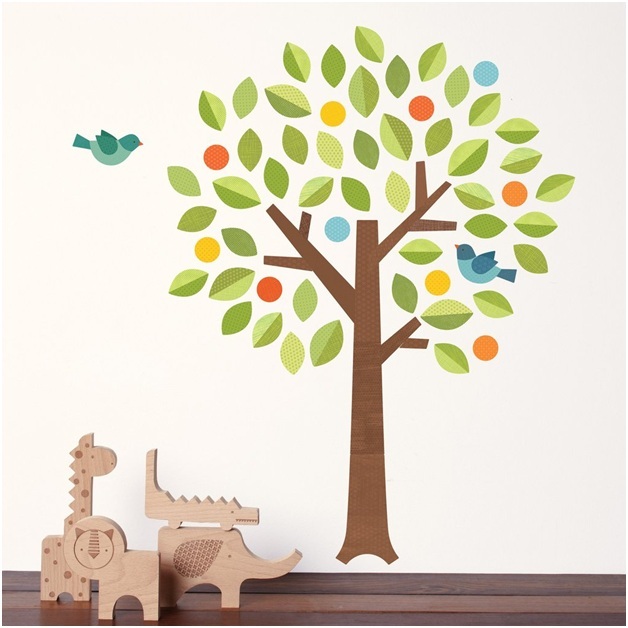 A colorful tree wall decal will be the primary focal point; surround it with a variety of other decals like mushrooms, leaves, foxes, and squirrels. To create more of a fairytale look, add a flower mobile, a string of twinkle lights, and a dress-up trunk stocked with a variety of enchanting costumes. Designing a safari themed kids room is as simple as stocking it with an abundance of wall decals, posters, and stuffed toys depicting your child’s favorite animals. Whether they prefer ferocious tigers and cheetahs, graceful giraffes, majestic elephants, or playful monkeys, you can easily customize this theme. For the bedding, go with a fun print featuring a leafy pattern or animal print. 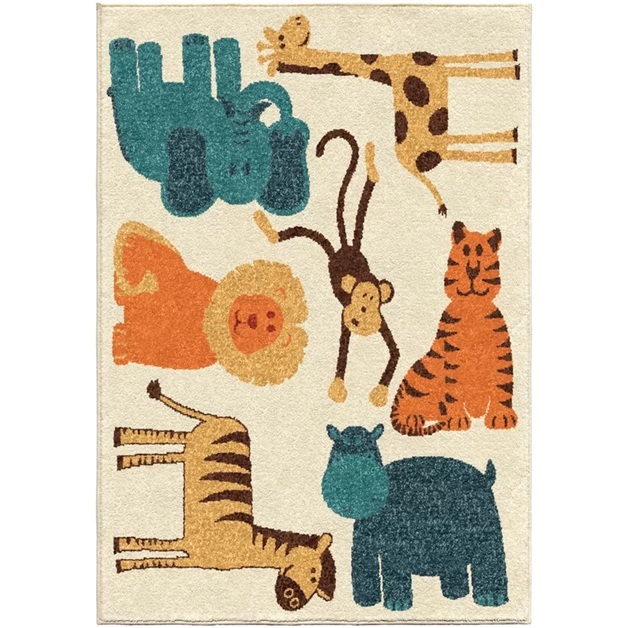 Finish the look with a jungle animal themed area rug. Sunken treasure, mermaids, or brightly colored sea creatures - there are so many ways to approach this vibrant ocean-themed room idea. Start with blue walls (almost any shade will do) and accessorize with decals and stickers depicting sea turtles, whales, dolphins, bubbles, starfish, seashells, and more. 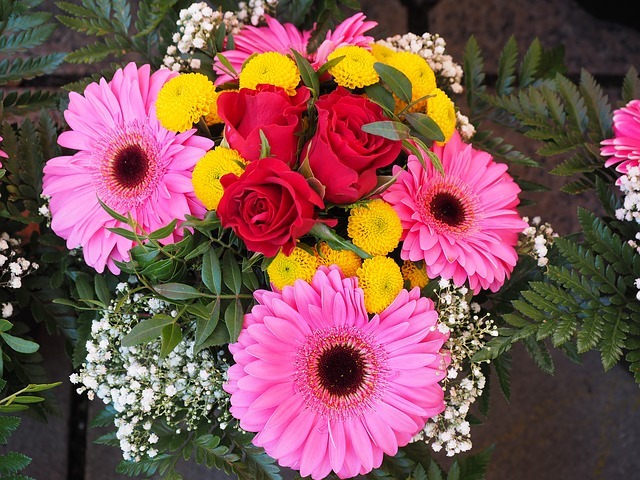 Get creative with the rest of the decor, such as the bedding and other furniture. 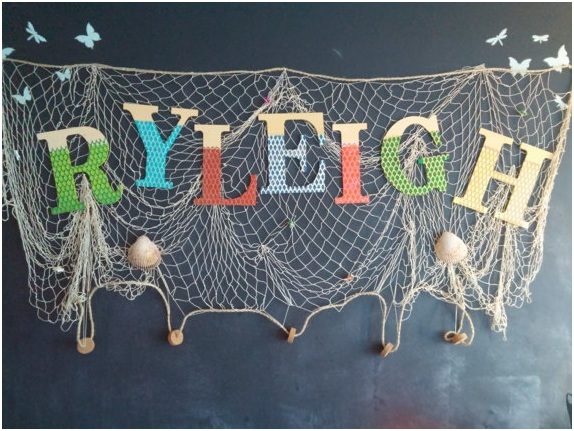 Some ideas to get you started are a pirate chest toy box, submarine-printed bedding, or sparkly mermaid scale letters spelling out your child’s name.